April 18SPICY TAKES: How can I get my life together and stay clean off these boys so I can heal? 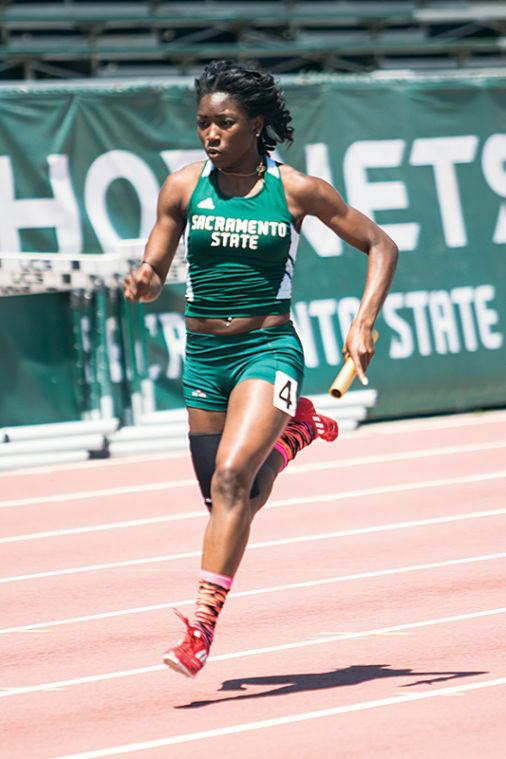 Dominique Whittington competes at an event held at Sac State in 2013. 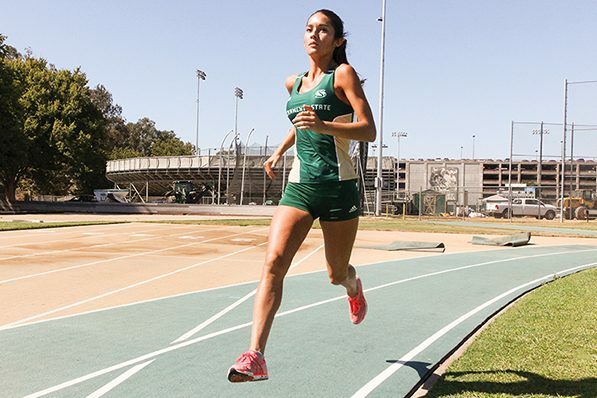 Sacramento State’s men and women’s track teams finished second and fourth overall at the Big Sky Indoor Conference Championship in Pocatello, Idaho, on Saturday. 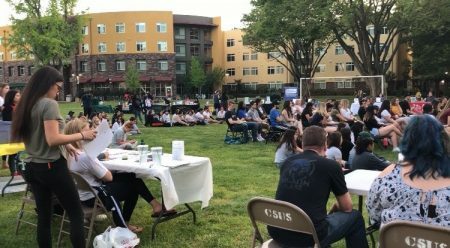 The Northern Arizona Lumberjacks finished first overall in men’s and women’s competition. 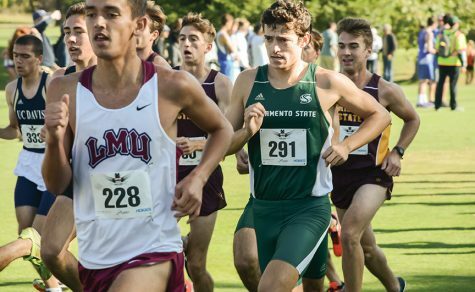 The men’s team finished with 89.5 total points, 40.5 points behind NAU. Junior thrower Zach Coniglio placed first in the shot put with a throw of 18.01 meters, edging Jon Buchanan of Eastern Washington by .20 meters. Sac State’s senior jumper Oleg Ryabokorovka finished first in the men’s long jump with a distance of 7.14 meters. Like Coniglio, Ryabokorovka edged out his Eastern Washington counterpart by a slim margin. He finished ahead of EWU’s Trenton Osborn by 0.05 meters. The Sac State men’s long jump team had other representation beside Ryabokorovka. Junior long jumper Julian Young placed fourth, with a jump of 7.01 meters. Junior Paul Lyons finished third in the men’s 60m hurdles, with a time of 8.08 seconds. Sophomore sprinter Osaretin Ogbeide finished sixth in the men’s 200m race. 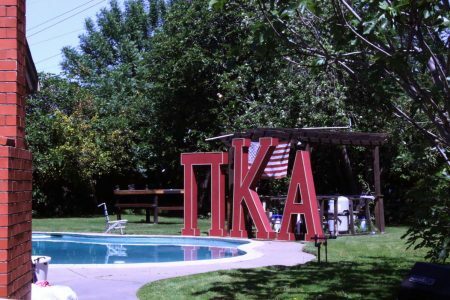 On the women’s side, it was a disappointing weekend. 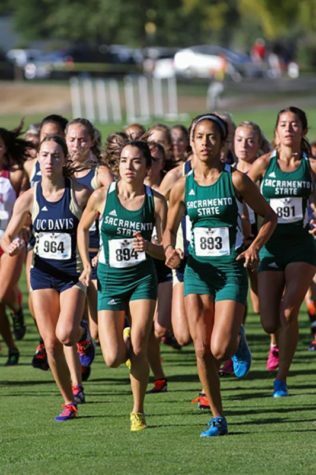 Sac State’s women’s team came into this weekend’s meet as the defending indoor conference champions. As a unit, the Hornets performed well, given the circumstances they’ve faced, but the team came away empty-handed. Even with the difficulties, there were some bright spots for the women’s team this weekend. Senior Rachel Mitchell finished first in the 5000 meter run with a time of 17:33. Her teammate, junior Lauren Mugnaini, finished with a time of 18:03 seconds, good for 12th place. The Hornets junior Dominique Whittington finished first in the 400 meter dash. 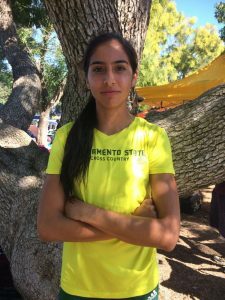 Her time of 54.09 seconds set a personal indoor record. Senior Morgan Pope extended the record setting day by breaking the school record in the 60 meter dash with a time of 7.55 seconds. The previous record was 7.59 seconds, set by Alicia Truesdale in 2011. The women’s 4×400 relay finished first with a time of 3:43.27 seconds, edging out Montana State by 0.20 seconds. Recent Big Sky Athlete of the Week, freshman Kristen Robinson, finished third in the 60 meter hurdles with a time of 8.65 seconds. Sophomore Devin Collins came in right behind her at 8.67 seconds.